Since the time immemorial, it has been an article of faith of every Muslim that suicide is ‘Haram’ (prohibited) in Islam. There is a well-known Islamic precept that whoever commits suicide will go straight to hell. But the Takfirists (those who declare others as heretics) have invented a new interpretation of Islam in which suicide is glorified as ‘martyrdom’ and suicide bombing is deployed as a weapon to cause widespread fear. Historically, suicide bombing as a weapon of war was invented by the Tamil Tigers during the 1980s in their war against the Sri Lankan armed forces. The Tamils are a Hindu ethnic group of northern Sri Lanka who were marginalized by the Buddhist majority and they led a civil war in the country from 1976 until they were defeated by the Sri Lankan armed forces’ Northern Offensive in 2009. Among the Muslims, suicide bombing as a tactical weapon was first adopted by the Palestinian Islamic Jihad in the Israel-Palestine conflict during the Second Intifada that lasted from 2000 to 2005. Then, the transnational terrorists of al-Qaeda adopted suicide bombing as a weapon of choice in some of their most audacious terror attacks in the US and Europe. After that, all the regional militant groups – including the Taliban in Afghanistan, al-Shabab in Somalia, Boko Haram in Nigeria and the Islamic State in Iraq and Syria – have also adopted suicide bombing as a tactical weapon in their rebellions against regional adversaries. The phenomena of militancy and insurgency anywhere in the world has less to do with religious extremism and more with the weak writ of state in remote rural and tribal areas of the Third World’s impoverished countries, which is sometimes further exacerbated by deliberate arming of certain militant groups by regional and global players. The Afghan jihadists of today, for instance, are a legacy of the Cold War when they were trained and armed by the CIA against the former Soviet Union with the help of Pakistan’s security agencies and the Gulf’s petro-dollars. Similarly, the Islamic State’s militants in Syria and Iraq are a product of Washington’s proxy war in Syria in which Sunni militants were trained and armed in the border regions of Turkey and Jordan to battle the Shi’a-led government in Syria in order to contain the Shi’a resistance comprised of Iran, Syria and their Lebanon-based proxy, Hezbollah, which constituted an existential threat to Israel’s regional security. First, as I have already described, the Tamil Tigers of Sri Lanka who invented suicide bombing as a tactic of war were Hindus. Second, the Naxalite-Maoist insurgency in India’s northeast that has been raging since 1967 and has claimed tens of thousands of lives has been comprised of Hindus. Third, the insurgency of the FARC rebels in Colombia that lasted from 1964 to 2017 and claimed hundreds of thousands of lives was a conflict among Christians. Fourth, the Northern Ireland conflict that lasted from 1968 to 1998 and claimed thousands of casualties was a dispute between Protestants and Catholics. Fifth, Joseph Kony’s Lord’s Resistance Army that operated in Uganda, South Sudan, Central African Republic and Congo since 1987 was comprised of Christians and animists. Sixth, the Nuer rebellion led by Riek Machar against his former ally President Salva Kiir’s Dinka tribal group since December 2013 in South Sudan which has claimed tens of thousands of lives has been a conflict among Christians. Seventh, the Hutu-Tutsi conflict that led to the Rwandan genocide in 1994 and claimed hundreds of thousands of lives was also a conflict among Christians. And lastly, all the belligerents of the Second Congo War that lasted from 1998 to 2003 and claimed millions of fatalities were non-Muslims. 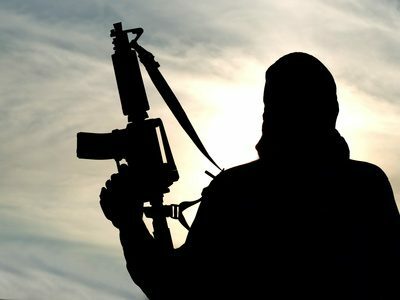 Keeping all this empirical evidence in mind, it becomes amply clear that Islam as a religion is just as peaceful or ‘violent’ as Christianity, Hinduism and Buddhism; and taking a cursory look at the list, it also becomes obvious that the common denominator among all these disparate insurgencies has not been religion. Since most of these insurgencies have affected the impoverished and underdeveloped regions of Asia, Africa and Latin America, thus the only legitimate conclusion that can be drawn from this fact is that deliberate militarization and weak writ of impoverished, developing states has primarily been responsible for breeding assortments of militant groups in the remote rural and tribal hinterlands of the aforementioned regions. That’s the only common denominator among these otherwise unrelated list of insurgencies. The root factors that have mainly been responsible for spawning militancy and terrorism anywhere in the world are not religion or ideology of militants but socio-economics, ethnic diversity, marginalization of disenfranchised ethno-linguistic and ethno-religious groups and the ensuing conflicts; socio-cultural backwardness of the affected regions, and the weak central control of the impoverished developing states over their territory, which is often exacerbated by deliberate training and arming of certain militant groups that were used at some point of time in history as proxies by their regional and global patrons. Excluding large-scale insurgencies, even if we take a cursory look at some individual acts of terrorism, the Virginia Tech shooting in April 2007 that claimed 32 lives was perpetrated by a South Korean Seung-Hui Cho; then a Norwegian far-right terrorist Anders Behring Breivik shot dead 77 students on the island of Utoya, Norway, in July 2011; after that, Adam Lanza carried out the Sandy Hook Elementary Schools massacre in December 2012, killing 27 people including 20 children; and more recently, Stephen Paddock committed one of the worst mass shootings in the American history, killing 58 people in cold blood and injuring hundreds more at Mandalay Bay in Las Vegas in October 2017. Peaceful or not, Islam is only a religion just like any other cosmopolitan religion whether it’s Christianity, Buddhism or Hinduism. Instead of taking an essentialist approach, we need to look at the evolution of social phenomena in its proper historical context. For instance, to assert that human beings are evil by nature is an essentialist approach; it overlooks the role played by nurture in grooming human beings. Human beings are only intelligent by nature; they are neither good nor evil by nature; whatever they are, whether good or evil, is the outcome of their nurture or upbringing. Similarly, to pronounce that Islam is a retrogressive or violent religion is an essentialist approach; it overlooks how Islamic scriptures are interpreted by followers depending on the subject’s socio-cultural context. For example, Western expat Muslims brought up in the West and who have imbibed Western values would interpret a Quranic verse in a liberal fashion; an urban middle class Muslim of the Muslim-majority countries would interpret the same verse rather conservatively; and a rural-tribal Muslim who has been indoctrinated by radical clerics would find meanings in it which could be extreme. Thus, it is all about culture rather than religion or scriptures per se. In a nutshell, blaming Islam for terrorism is like holding Christianity responsible for imperialism; obviously, there is no correlation between the two.